Perhaps like me most of you start your morning with a cup of coffee to warm you up and to get you going. Making a pot of coffee is a morning routine that you've had for years but with your vision changes filling the coffee pot with water, measuring the coffee grounds and then pouring the coffee into your mug contribute to your frustration and irritation regarding your sight. What if you could make your own coffee without the messes or becoming annoyed or irritated? Start with a single serve coffee maker - which means no more measuring coffee grounds or guessing how much coffee to pour into your mug. These single serve coffee makers come in black, white, blue, red and other colors. Select a color that contrasts with your kitchen countertop. If you have a white countertop get a colored or black coffee maker and if you have a black or dark countertop get a white or bright colored one so that you can use contrast to maximize your useable vision. 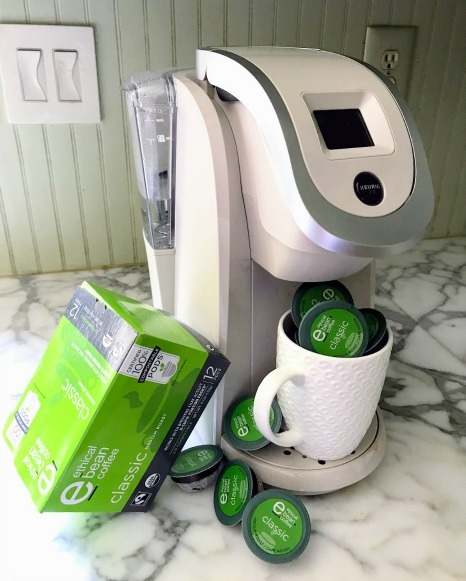 Prepackaged coffee, tea, creamers and sweeteners eliminate or at least reduces the amount and times you spill or over or under estimate how much you need. Measuring out several tablespoons of coffee, pouring creamer from a carton and spooning in your sugar can create opportunities for frustration or bad tasting coffee. Replace measuring coffee grounds with single serve coffee pods for a no mess kitchen. 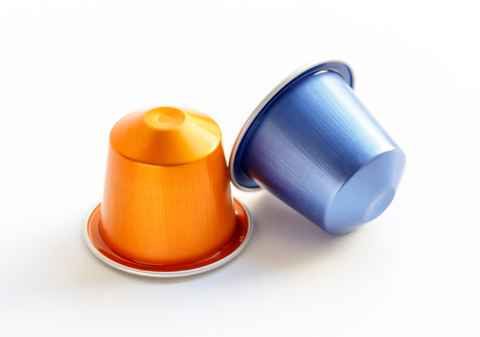 The pods come in a variety of flavors and with or without caffeine. You can also get a variety of teas and hot chocolate in pre-packaged pods. 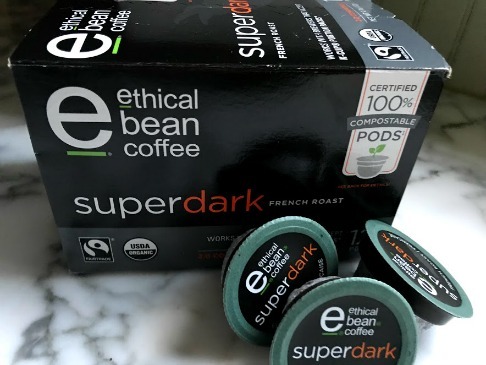 We've switched to organic coffee pods that are 100% biodegradable. 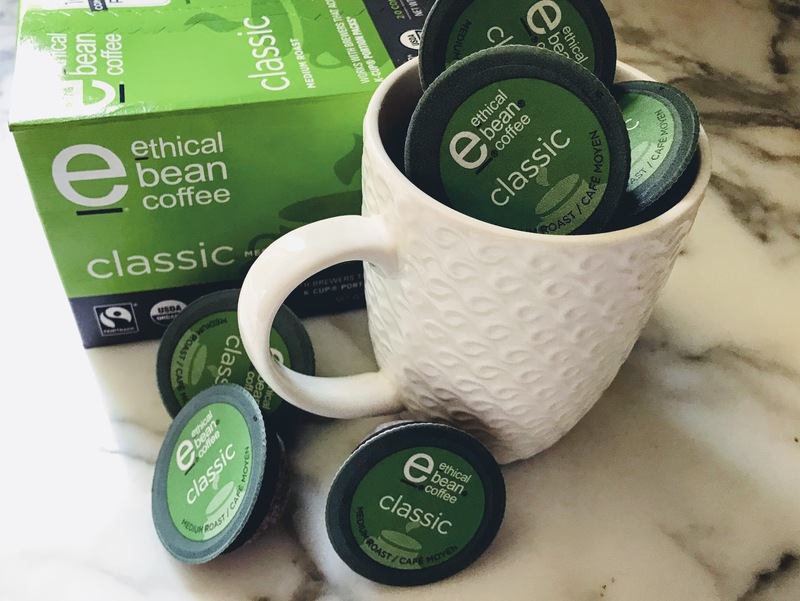 The taste is "less plastic" and the coffee is rich and smooth. Pre-packed creamers, whether it's half-n-half or a creamer substitute like CoffeMate, means you can simply open one or two packages and pour them into your coffee instead of pouring from a carton. Single packets of sugar also simplify measuring out your sweetener so you get just the right amount - whether you need one packet or two. Use a white coffee mug that will fit under your single serve coffee machine. 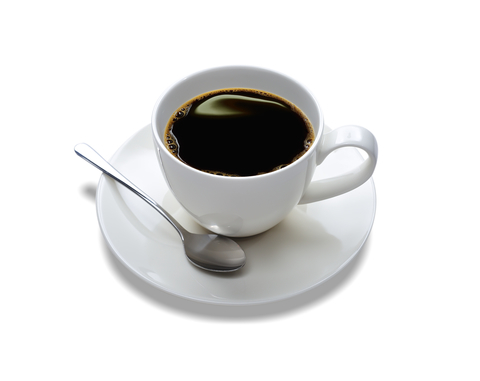 The contrast of white with the black coffee maximizes your vision so you can see how much coffee is in your cup. 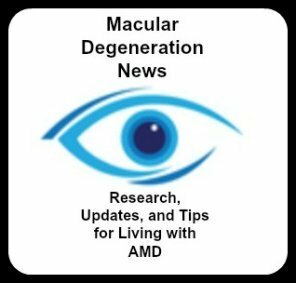 Living well with macular degeneration begins in the morning using pre-packaged items and a simpler way of starting your day.